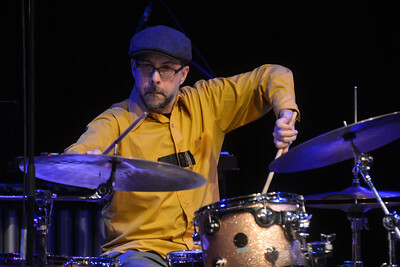 The Cuban-born drummer, composer, and bandleader Dafnis Prieto came to the United States in 1999 and, almost immediately made an impact. 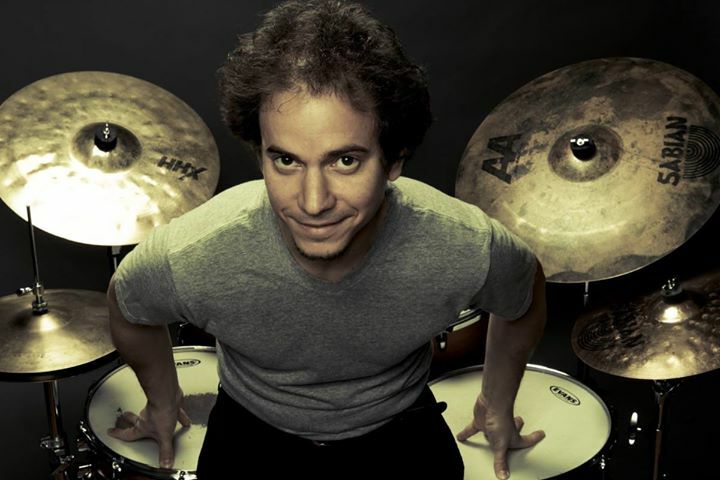 He performed with groups led by Henry Threadgill, Steve Coleman, Arturo O'Farrill, Eddie Palmieri, Don Byron, Andrew Hill and others and has led several groups. He was named a MacArthur Fellow in 2011 and has won numerous grants and commissions. After recording two albums for the Zoho label, Prieto started his own Dafnison Music in 2008. He has since released four CDs with various sized ensembles, from trio to sextet. 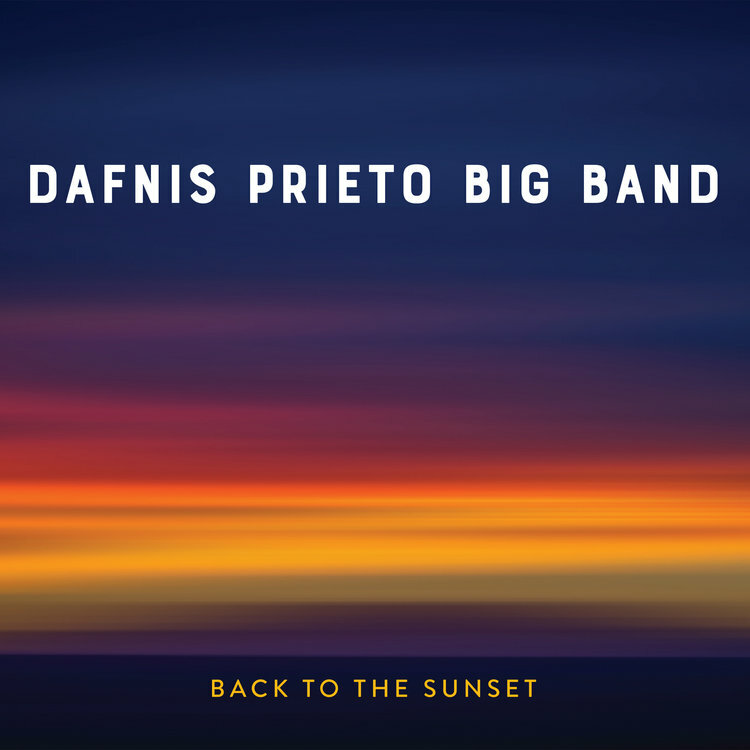 2018 sees the release of "Back To The Sunset", the debut of the Dafnis Prieto Big Band. 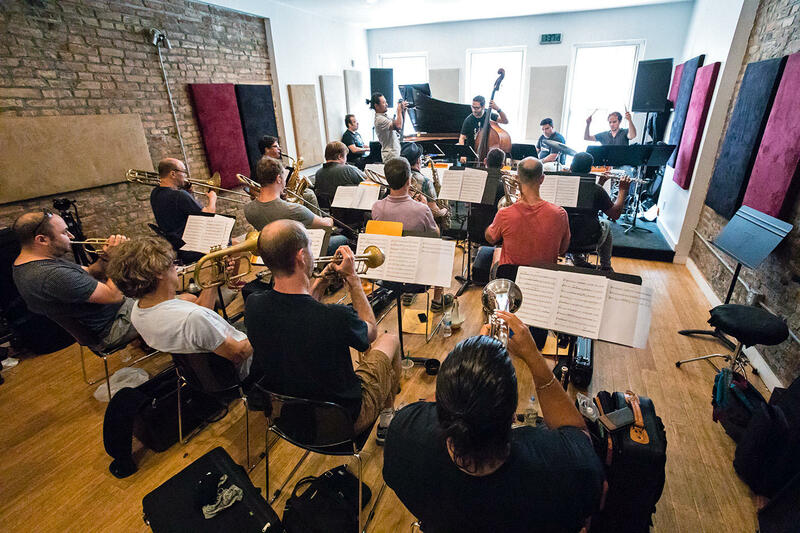 The 17-member ensemble roars, rollicks, rumbas, and purrs its way through nine original piece, each one dedicated to two or three of the drummer's mentors and/or employers. Three of those mentor/employers - Henry Threadgill, Steve Coleman, and Brian Lynch - are guests. In fact, the program opens with "Una Vez Más" dedicated to Tito Puente, the afore-mentioned Palmieri, and trumpeter Lynch, who appears as a soloist. One of the first things one notices listening to this music is the seductive rhythms created by the leader, percussionist Roberto Quintero, pianist Manuel Valera, and bassist Ricky Rodríguez. Once the melody is stated by Lynch, the various sections create fascinating backgrounds, counterpoint, and more. The pianist gets the first solo, a dancing excursion which starts and stays with only his partners "on the bottom" for support. Then Lynch steps in with a crackling yet melodic solo. Quintero and Prieto burn through a call-and-response with the brass and reeds before the whole band restates the opening theme (dig the brass trills in the foreground). There's nary a dull moment on this album. "The Sooner, The Better" (dedicated to Egberto Gismonti and Jerry González) features smashing solos from Peter Apfelbaum (tenor sax), Alex Sipiagin (flugelhorn), Romãn Filiú (alto sax), and bassist Rodríguez, yet pay attention what the ensemble plays in the background or to how the music moves subtly from a ballad to a more up-tempo setting. Threadgill, who's been a Guggenheim Fellow as a well as having won a Pulitzer Prize in 2016, steps out in front of the band on the title track (a ballad, dedicated to him and Andrew Hill, with a powerful solo that, at different times, shows a bluesy and angular edge (there's even a feel of Johnny Hodges in some of the quieter passages). Coleman's alto sax is featured on "Song for Chico" (dedicated to Chico O'Farrill and his son Arturo plus Mario Bauzá), a delightful, percussion fueled romp that jumps out of the speakers. Coleman soars on his solo and is matched by the excellent trumpet spot from Nathan Eklund (make sure to check out how the sections frame the solos). "Out of the Bone" is dedicated to Steve Coleman as well as pianist Michel Camilo and opens with an impressive unaccompanied baritone sax solo from Chris Cheek. Make sure to listen to how the melody is built from the drums up. After an exciting drum spotlight with the reeds and brass playing percussive figures, the 'bones of Jeff Nelson (bass trombone), Alan Ferber, and Jacob Garchik step in front (the latter two trade "fours" over the frenetic rhythm section). Be sure to listen for the reed and brass voicing, especially the trumpets "laughing" during Nelson's solo. The program closes with "The Triumphant Journey", a driving, pulsating, tune dedicated to Dizzy Gillespie and the great Cuban percussionist Chano Pozo (first brought to this country by Mario Bauzá). The section writing and musicianship is splendid as are the solos from trumpeter Mike Rodriguez, trombonist Tim Albright, alto saxophonist Filiú, and the fiery blast before the close from tenor saxophonist Joel Frahm. Music and, especially, rhythms from the Caribbean as well as from Central and South America has mesmerized the United States since the 19th Century. 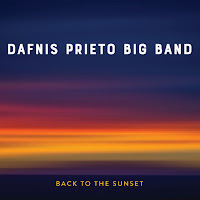 The joyful sounds created by the Dafnis Prieto Big Band may have its roots in the slave trade but here is a paean to freedom and creativity. "Back To The Sunset" is a treasure, sounds to delight in, to play really loud so the drums shake the walls and the rhythms inhabit your body. On top of that, there are memorable melodies and splendid arrangements. What a joy! For more information, go to dafnisonmusic.com. Counting the two albums John Hollenbeck created with the Frankfurt Radio Big Band plus one each with Jazz Big Band Graz and Orchestre National de Jazz as well as the first two under the monicker of John Hollenbeck Large Ensemble (2005's "A Blessing" on Omnitone and 2009's "Eternal Interlude" on Sunnyside), "All Can Work" (New Amsterdam Records) is the drummer and composer's seventh adventure with a big group. 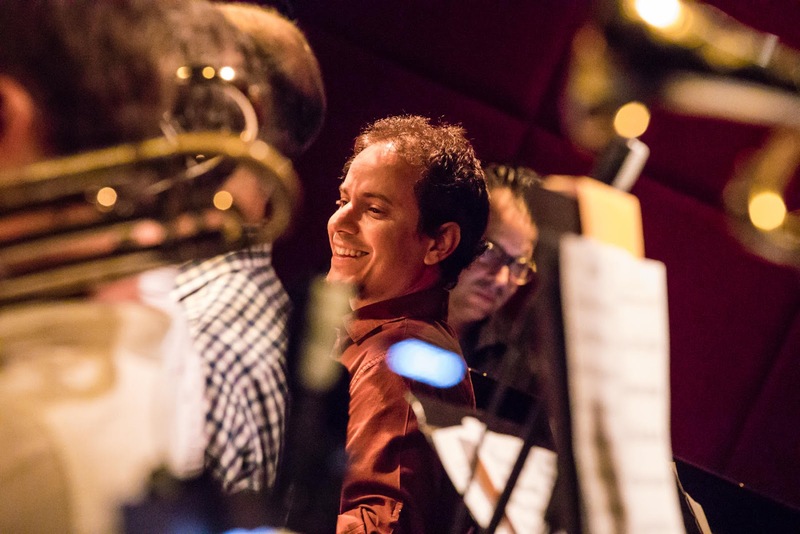 Like the Dafnis Prieto album, Hollenbeck's recording is filled with tributes to musicians and mentors who have help to shape him into a unique voice in contemporary music. 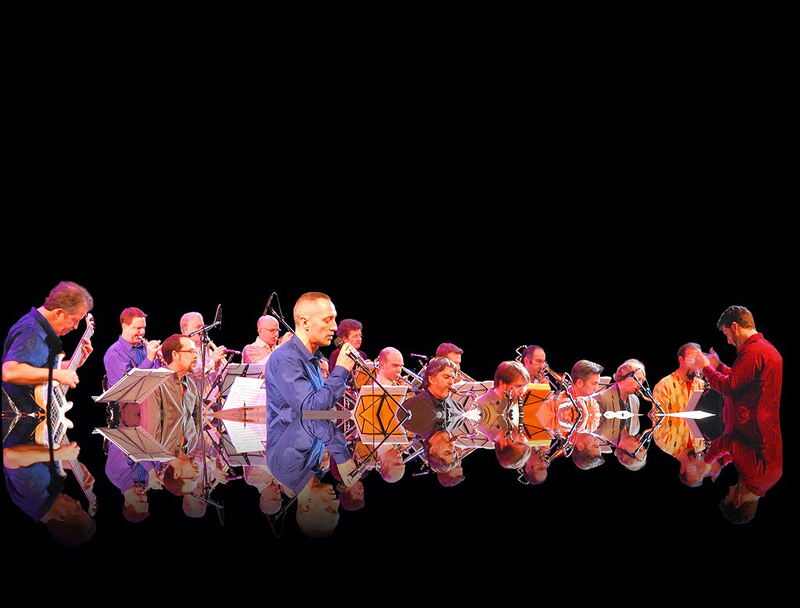 The new album, featuring 17 musicians, the fascinating voice of Theo Bleckmann, and conductor JC Sanford, offers five new works by the leader plus fascinating new arrangements of pieces from Billy Strayhorn, Kenny Wheeler, and electronic music pioneers Kraftwerk. 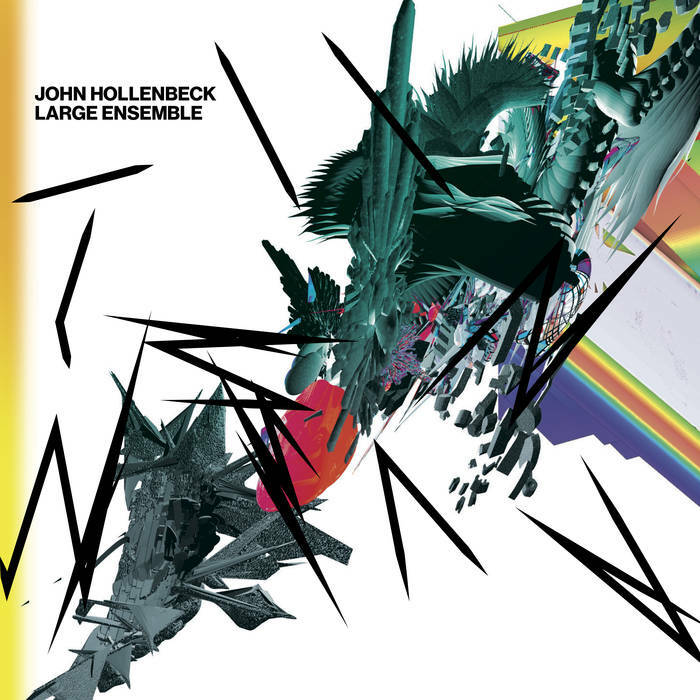 Wheeler's "Heyoke" (from his 1976 ECM "Gnu High" album that featured Keith Jarrett, Dave Holland, and Jack DeJohnette) was arranged for big band when Hollenbeck's Ensemble backed the composer and trumpeter at the 2011 Festival of New Trumpet Music (FONT). Wheeler, who produced a number of brilliant recordings for large ensembles, had only arranged the opening segment of the original 22-minute piece so Hollenbeck finished it for him. This brilliant tune, featuring fine solos from Matt Holman (trumpet), Matt Mitchell (piano), and Jacob Garchik (trombone) plus powerful wordless vocal from Bleckmann, ends before the final section with just piano and voice in tribute to the passing of Wheeler and his longtime collaborator, pianist John Taylor. The title track is dedicated to the late trumpeter, educator, and mentor Laurie Frink (1951-2013) who worked with many large ensembles in the New York City area. Based on an exercise she wrote for her students and featuring lyrics taken from her texts with the composer, the swirling brass and reeds, the mesmerizing piano and vibraphone, and the short phrases from the various sections, all combine to take the listener on a fascinating sonic journey. There is a dream-like quality to several of the songs, moments when the brass, reeds, voice, rhythm section combine to move one away from the everyday. 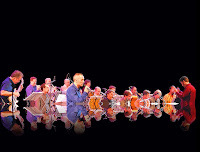 "This Kiss", composed for a production of William Shakespeare's "Romeo and Juliet", rolls along on the martial drum patterns as the sections move around each other in a dance with the voice pulling everyone forward. The short rubato section in the middle of the song is a stunning change of pace before the swirling patterns return. The opening track, "lud", enters on a marimba melody before the airy voices of reeds and brass and the piano (which shadows the marimba) begin to move the piece forward. The piece sounds like a prayer at times but also like a prelude to a theater piece (especially with the sustained electronic chords floating around the musicians). Hard not to be seduced by "Elf", Billy Strayhorn's original title for "Isfahan", thanks to the fascinating soprano sax work of Tony Malaby that soars atop the pulsating rhythms - during Mitchell's fine piano spot, listen to how the reeds and brass hint at the famous melody that made its debut on Duke Ellington's "Far East Suite." Listening to the whirling sounds behind the melody suggest a Persian bazaar or a walk through an Israeli shuk (marketplace). These words do not do justice to the brilliant writing and playing to be heard on "All Can Work". Although John Hollenbeck does not dedicate to a song to either Bob Brookmeyer (the album is dedicated to the late composer, arranger, and valve trombonist) or Meredith Monk, the engaged listener can hear their influences at times during this delight-filled program. When you really listen to the John Hollenbeck Large Ensemble, you will hear music of its time, music that point to continued innovation and new ways to combine the music of our world. For more information, go to johnhollenbeck.com. 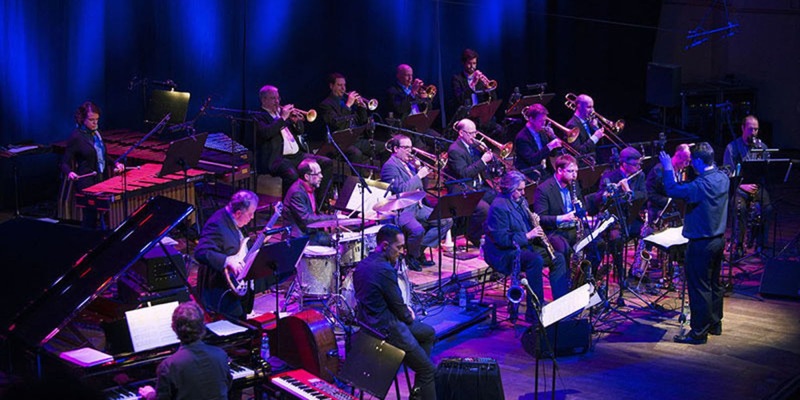 Connecticut readers, take note that the JHLE will be appearing in Danbury on April 28 as part of the Western Connecticut State University 23rd Annual Jazz Fest. The previous evening (4/27), trumpeter Roy Hargrove joins the WCSU Jazz Orchestra, Jimmy Greene director. For more information about those shows, go to www.wcsu.edu/newsevents/events.asp. For just the Hollenbeck concert, tickets are available at www.eventbrite.com/e/23rd-annual-jazz-fest-featuring-the-john-hollenbeck-tickets-44268366877.